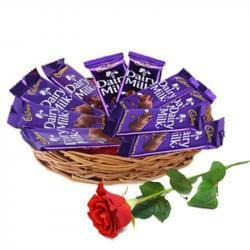 Product Consists : 16 Pcs Ferrero Rocher Chocolate Box along with One Red Rose. 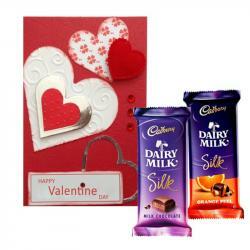 Giftacrossindia brings a lovely gift what you may also send Gifts to India to your near and dear ones. 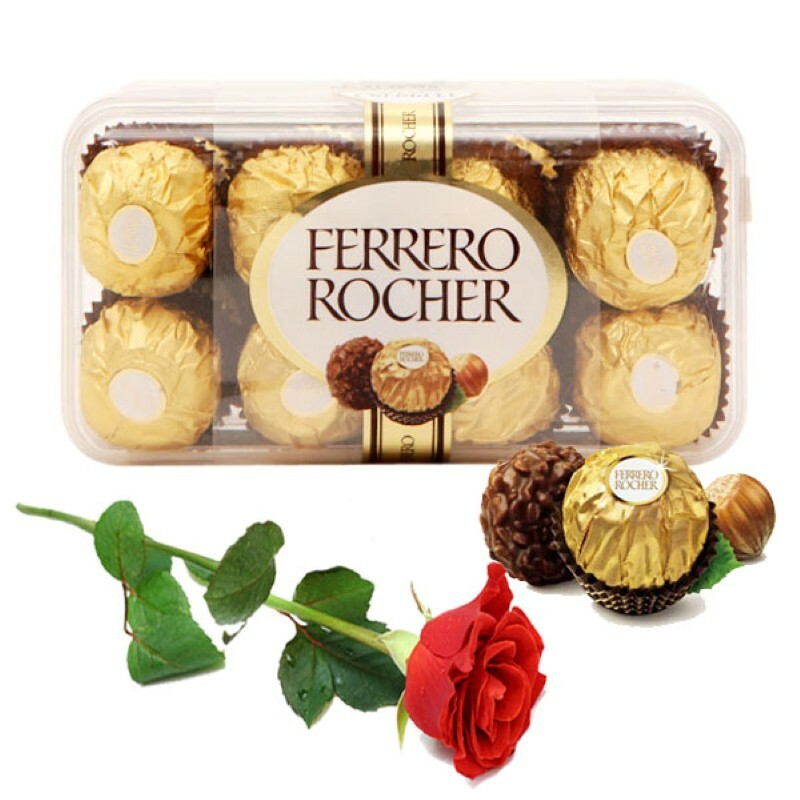 Make Valentines day more memorable with this lovely hamper 16 pieces Ferrero Rocher Chocolate Box and One Red Rose will be a perfect gift on this Valentine's Day. 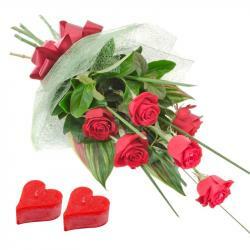 Red Roses is one of the symbol of love along with this special chocolate like Ferrero Rocher which consist of a whole roasted hazelnut encased in a thin wafer shell filled with hazelnut cream. 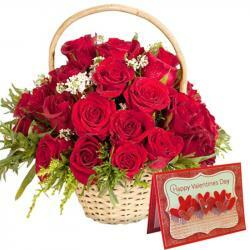 Product Includes : 16 Pcs Ferrero Rocher Chocolate Box along with One Red Rose.